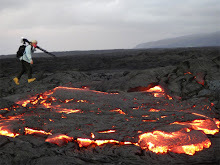 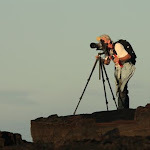 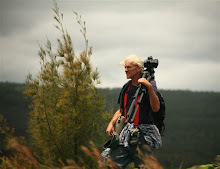 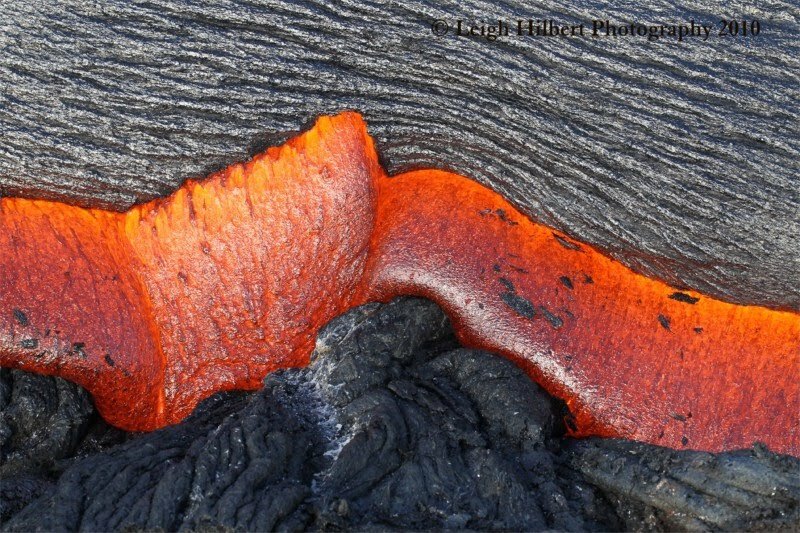 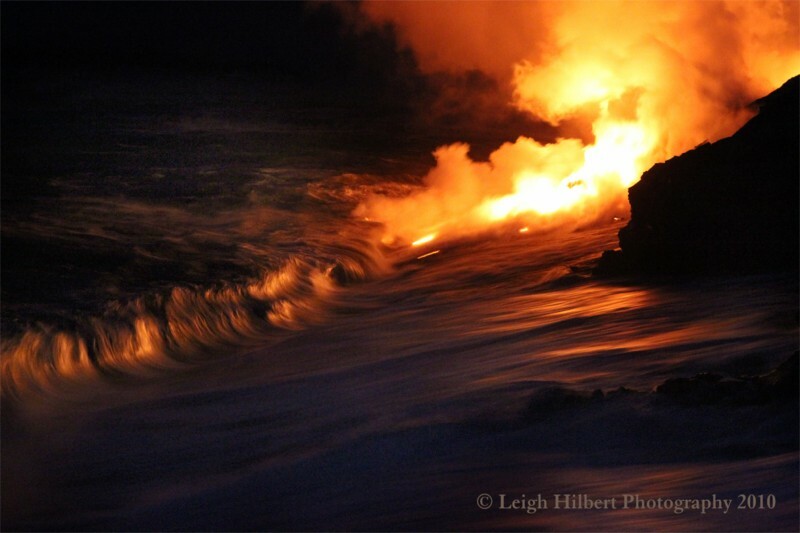 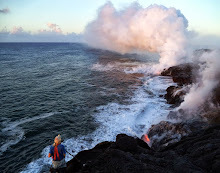 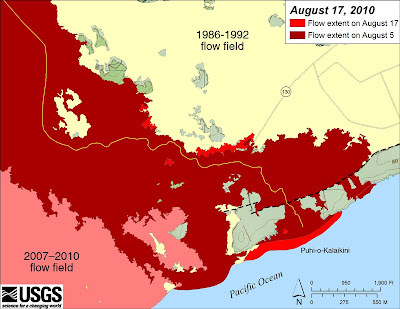 I may not post updates as often until, or unless, significant changes to the lava flow take place. 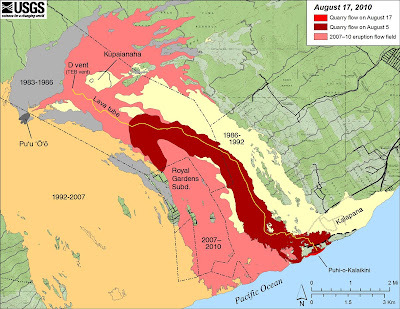 USGS/HVO lava flow maps page shows the hot zones as of July 17th, 2010. Click on the map images to open their larger sizes. 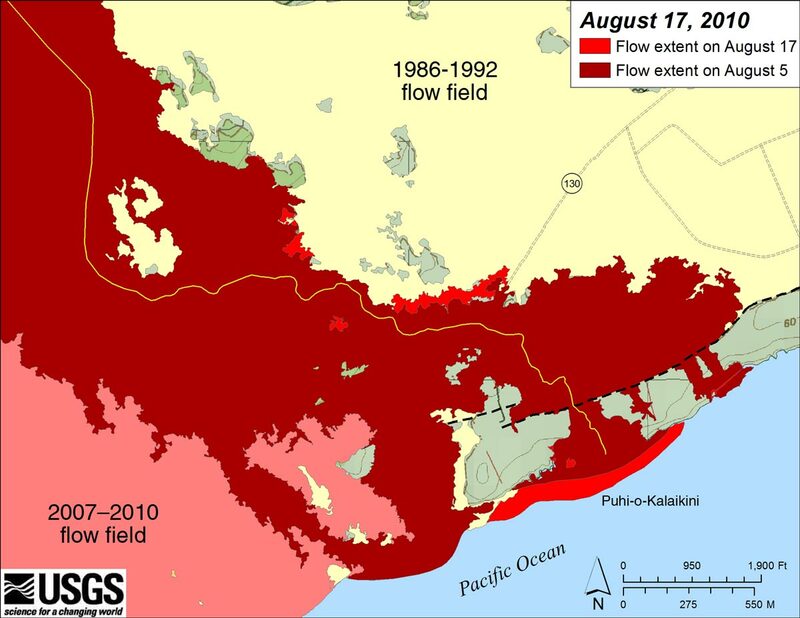 I saw a USGS guy out mapping the surface flow breakouts two days ago so we may be seeing a new flow map update soon.